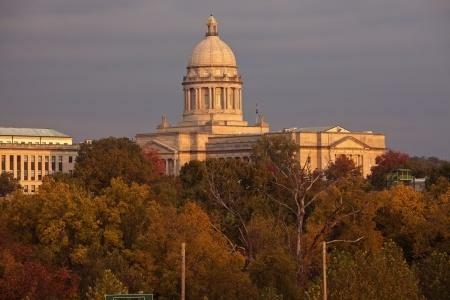 Lawmakers will be back in Frankfort in about three weeks for the regularly-scheduled yearly legislative session. By having a special session before the end of 2018, lawmakers would have been able to pass pension reform with a constitutional majority. That threshold shoots up to a three-fifths majority during non-budget years like 2019. Acting House Speaker David Osborne said that Republican lawmakers were prepared to pass the same pension reform bill that was struck down by the Supreme Court last week, but Bevin came forward with proposals they weren’t prepared to pass. “It’s just very difficult to start making significant changes to the bill and have any confidence that there’s a full understanding of it when it was not what we believed we had when we were coming in,” Osborne said. Some Republican lawmakers wanted to pass the old version of the pension bill again because the Supreme Court only struck it down on procedural grounds — the substance of the bill was still untested by the courts. Democratic Attorney General Andy Beshear, Bevin’s top political rival, successfully sued to block the pension bill this year. Beshear has launched a bid for governor and a lawsuit over another pension bill could drag out through the 2019 campaign season. House Minority Leader Rocky Adkins, a Democrat who is also running for governor, criticized Bevin’s decision to call the session on Wednesday. “I have always said never call a special session unless you have an agreement on the bill, that you’ve got the votes to pass that bill when you come into session. What this has been is really a waste of money for the people of the commonwealth of Kentucky,” Adkins said. Bevin and Republican leaders of the legislature say they intend to continue the pension reform discussion during the upcoming legislative session. Republican Senate President Robert Stivers said “it was worth a shot” for Bevin to try and pass a new pension bill despite the cost. “You didn’t know until you brought the people here. And I think early on there was a sentiment that we had a chance at it,” Stivers said. Lawmakers return to Frankfort for the next General Assembly on Jan. 8, 2019. Note: In an earlier version of this story, the first sentence said "A little less than 48 hours..." This has been corrected to say "A little less than 24 hours..."